Visual Studio Code>Themes>MacOS Modern ThemeNew to Visual Studio Code? Get it now. MacOS Modern is a theme pack styled to match native MacOS as closely as possible. Use recommended settings in the README.md for best results. 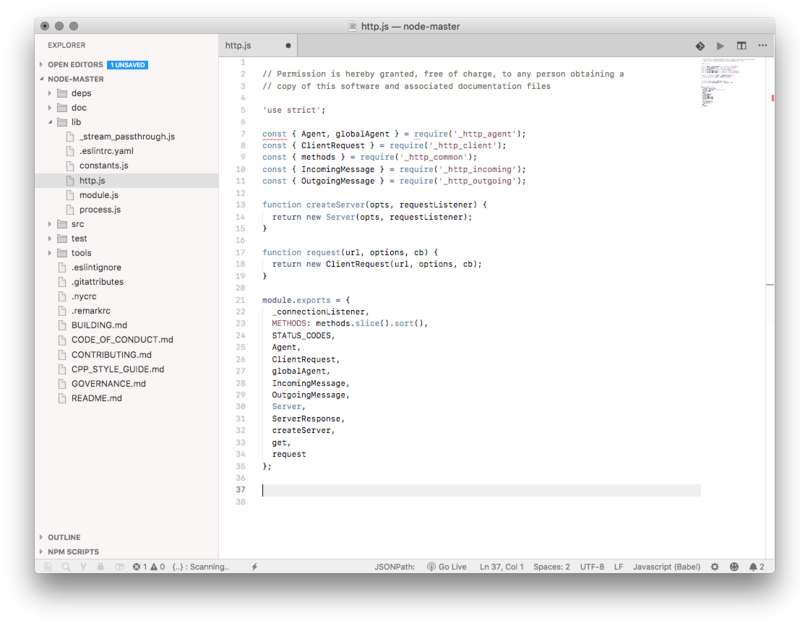 MacOS Modern is a light Visual Studio Code theme styled to match native MacOS as closely as possible. Two color scheme variants and an icon theme are included. I HIGHLY recommend using the settings below for best results. There are a few settings that should be added to your User Settings to really transform the look to better match OS X. The zoom level and native title bar make a huge difference in the overall look of VSCode. I also prefer to hide the Activity Bar, which can be done from the View menu. If you choose to hide the activity bar, you can install the "Activitus Bar" extension to add the activity bar buttons to your status bar. Add these settings to theme the "Activitus Bar" and "Project Manager" extensions to match Modern MacOS. You can optionally hide the minimap. You could also download the files from the repo folder by clicking the name of the icns or png and clicking the "Download" button. You can use the free app LiteIcon to change the icon.